Located within Ahmedabad’s old-world marketplace, Herbal Fab crafts GOTS-certified cotton textiles for fashion and the home. Organically woven and dyed, Herbal Fab materials are for the eco-minded designer, as the Indian firm promotes sustainability with the hope to make ‘organic’ a mass market concept. Ahmedabad is Gujarat’s major city – an eclectic metropolis with many remarkable buildings that recount the ancient history of India. 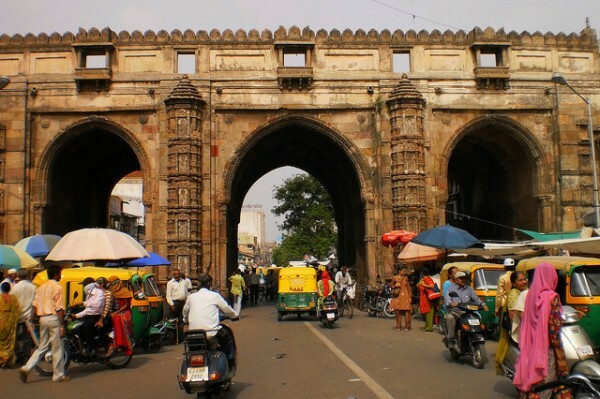 Ahmedabad’s ‘old quarter’ charm and bustling night markets are today awash with modernization and industrialization – testament to the usual extremes of wealth and poverty in India’s biggest cities. The old city is on the east side of the Sabarmati River and was previously encased by 10km-long wall. Today, little remains besides several strong gates standing as lost islands among a sea of traffic and people. Within this chaos lies an element of respite, Herbal Fab. Herbal Fab is run by two brothers, Prashant and Kunal Balar. Both Balars were electronic engineers, but felt an element of dissatisfaction working in electronics and information technology. So they left their careers, and took up the family shirting business. Seeing the irreparable damage done by hazardous chemicals in conventional textile processing, the brothers vowed to make a change. This motivated them to initiate Herbalfab and it launched successfully, following 18 months of solid research, in 2007. 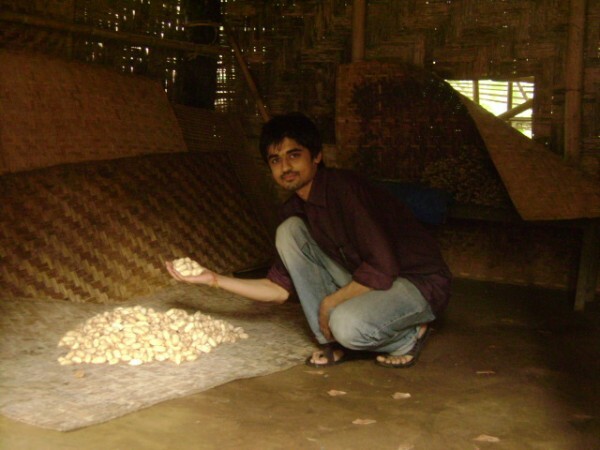 Kunal felt strongly about making a lasting impact on his local community, by offering organic cottons. “There will be nothing left for the generations to come if we are not sustainable in what we do and a simple rule to be sustainable is to give back to nature what you take from it in the same form,” explains Kunal. Herbal Fab is closely associated with several GOTS-certified spinning mills, personally visiting the organic cotton farms from which they source yarns. Most organic cotton comes from the Maharastra and Madhya Pradesh regions, while the finer counts are sourced from India’s southern areas. 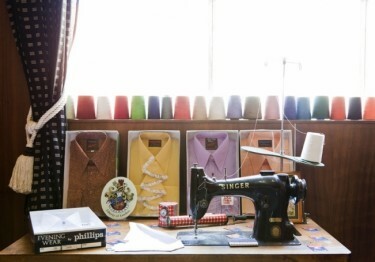 With decades of textiles experience, as a direct link to their family shirting business, Herbal Fab is in good steed with contacts in the Indian textile community. This helps iron out challenges that most organic manufacturers face, at each level – due to mininum order quantities. “Our family business being in textiles for 40 years, we have good experience in the field at each level which does helps in developing new fabrics,” explains Kunal. Herbal Fab’s manufacturing process is vast. They offer organic cotton based fabrics in both woven knitted style as per custom dyed, printed or yarn-dyed requirement. Herbal Fab also have a range of other eco friendly fabrics like khadi that is both handspun and hand-woven, non violent silk and organic denim. The firm has sub-contracted set ups GOTS-ceritified under ‘Herbal Fab’ name for: sizing, yarn-dyeing (both manual and machine); weaving; cutting and brushing; and dyeing and printing – the latter available in flat belt, rotary or regianni machining, as well as manual table screen-printing. “We are closely associated with a GOTS certified sewing set up too. where we can offer baby and kids clothing, tees , shirts and any other custom adult clothing,” adds Kunal. Herbal Fab has developed a unique approach to dyeing fabrics using flowers, fruits and root. 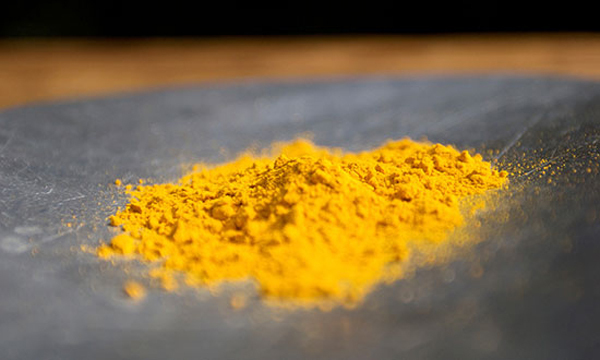 Turmeric, onions and dhavadi flowers, as well as natural indigo are used in preparing dyes. 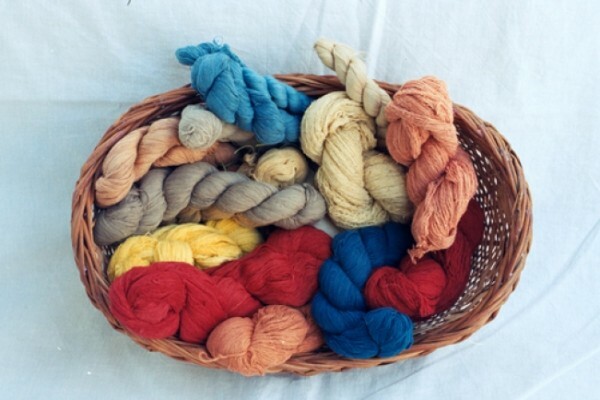 The goal is to stop water pollution, replacing petrochemical substances with vegetable dyes. A secondary benefit is the medicinal value added to each cloth, with the properties of healing herbs being retained when converted into garment dyes. 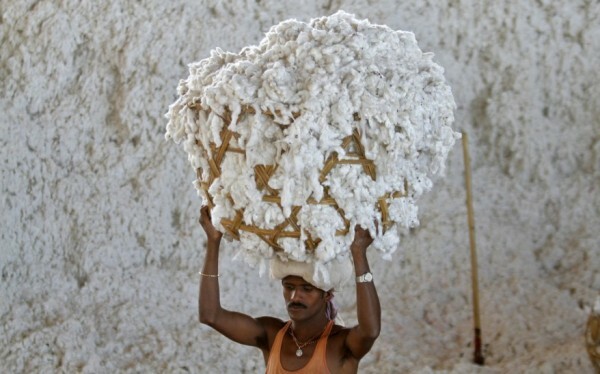 The profile of organic cotton is increasing and organic garment sales have lifted in recent years, particularly in the United States and Europe. Herbal Fab believes that as more and more people get involved with organic-made – be it designers, retailers or consumers, organic fashion won’t be such a niche concept for future generations. “We are always happy to know sales organic cotton sales are up, and infact, we want to see more and more companies getting involved in the organic business,” explains Kunal. 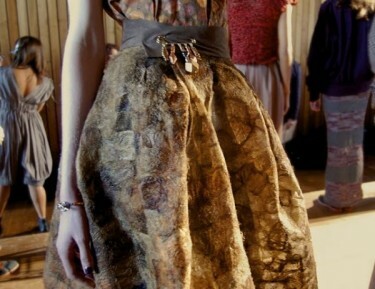 However, the push for total organic fashion remains burdened. 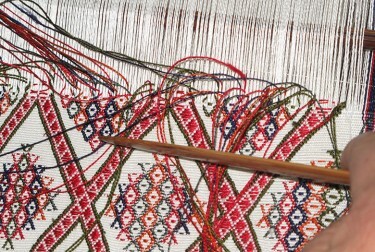 Around 80% of the firms involved in organic textiles – designers, brands or mills – are still small scale. The brothers at Herbal Fab believe certain groups wish to use organic resource, but cannot access it due the restrictions of high minimum order quantities. This makes ordering difficult – increasing expense for brands and designers, who cannot afford large fabric orders. “Our aim is to reach these brands and meet their fabric needs through our set-ups, experience and contacts,” explains Kunal. To make this happen, Herbal Fab is working on a new, small-scale manufacturing process, to accommodate small orders. “We want to be able to dye and print orders as small as one hundred meters in quantity. This would be availale for our GOTS-certified wovens with low impact dyeing. We are already offering this function in our natural dyed and printed fabrics,” adds Kunal. 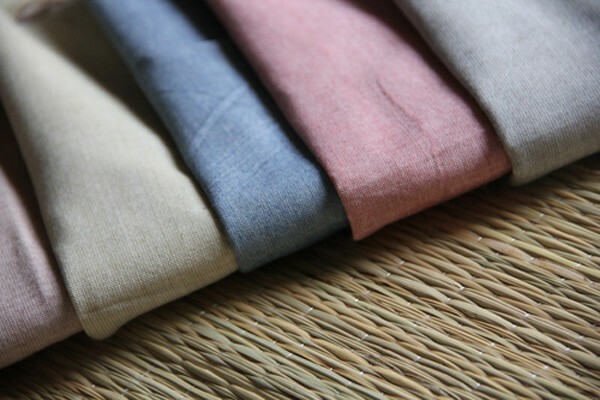 Essentially, Herbal Fab endeavors to become a one-stop-shop for organic cotton-related fabrics. And just for the eco-minded. “It’s a very big dream, but we want to introduce fabrics and maybe even some ready-made garments under the Herbal Fab brand that is accessible and appeases the masses,” explains Kunal. The Herbal Fab organic cotton collection is available for purchase online with Le Souk.